The way the eye works is similar to a camera. Externally reflected light passes through the cornea, the pupil, the lens and the vitreous body and is guided to the retina. The natural lens of the eye works like a camera lens, bundling the light. The iris serves as an aperture, which contracts or widens depending on the intensity of the light. 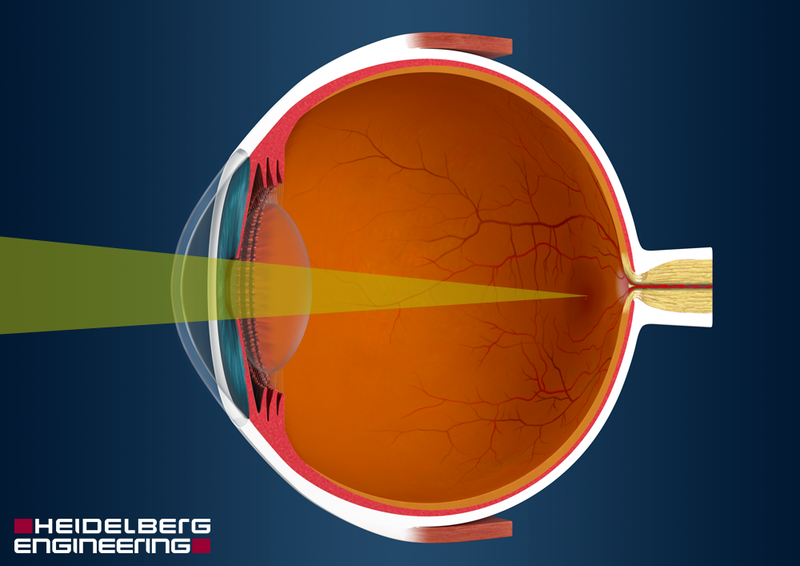 If an eye is correctly formed, the light beams are collected precisely on the retina, like on the film of a camera. From there, the bundled light signals are sent to the brain and processed into an image.